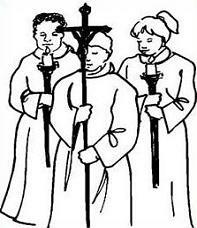 A child who has celebrated the Sacrament of First Eucharist is eligible to become an Altar Server at Mass. Training sessions are generally held twice a year. If your child is interested in this wonderful ministry please contact the Parish Office.